Click on the link below to follow us on Facebook for more! Who would have believed if someone would have said back in 2002, a young 19 year old hero by the name of Dhanush would one day win a National Award for acting. Everyone would have laughed it away and maybe the man himself wouldn't have believed that. Fast forward 15 years later, not only is Dhanush a National Award for acting, he has also won the prestigious award as a producer. The young boy who started of an actor is now not only a hero but a award winner for singing, lyric writing & film producer. Without a doubt, Dhanush is someone I look up highly in the industry and that is not because he able to do all these different roles in the industry but the manner how he did it. 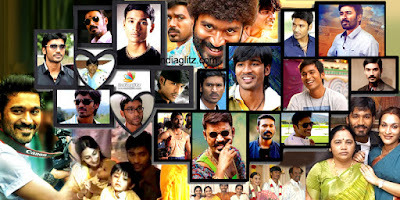 Dhanush is not the first to venture into different aspect of cinema. Kamal Hassan is perhaps the God when it comes into exploring different sides of the industry. Not forgetting Simbhu, who was involved in numerous aspects of a film in Manmadhan, but what makes me admire Dhanush more is how he experiments out a new area slowly, builds himself up, becomes successful and then try out a new zone. Dhanush has a game plan in mind and knows how to pull it off. He has paced himself like running in a marathon. Instead of doing it all at once and running out of gas, he paces himself in the journey and tries out a new zone one at a time. If you look at his acting career, it took 14 years to do 25 films, averaging about 2 films a year. He made his debut in 2002 but got his first real break and award nomination in 2003 through Kadhal Konden. 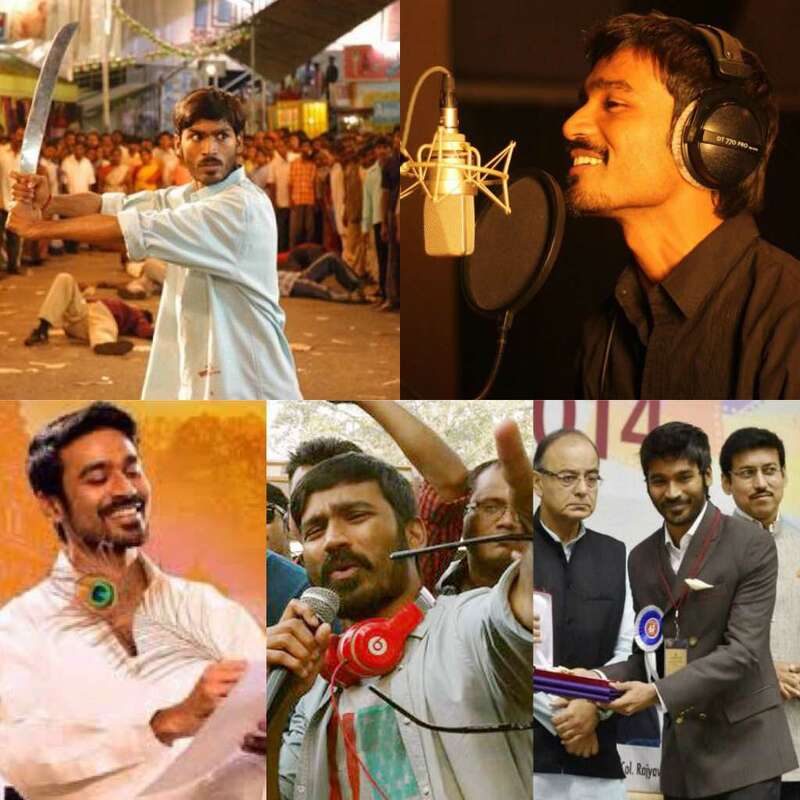 He spent the next 7 years sharpening up his acting skills with minimal diversion to other zones and finally with Adukalam he cemented his place as one of the best with the National Award. With singing, he tried it out in 2003 with the "Naatu Saruke" song and although it turned out to be a decent hit, he did not push for it vigorously except a couple of songs for his brother's film. Then came "Why This Kolaveri Di" which turned him into an overnight singing star and won his first award in singing. From there, the rest is history and he has been singing more often than ever with much better quality. Apart from acting, I guess his biggest success has to be his production house called "Wunderbar". A good actor needs to have an eye for a good script to pick good movies for himself. Similarly a good producer needs to pick good films to make profits. Wunderbar was set up in 2010 but its first film produced was in 2012 and from there on they have gone on to do a couple of "small" budget films which has gone on to create amazing success. Kaaka Muttai and Visarnai is the 2 highlights from his production house which has won National Awards. He surely does have an eye for good scripts. With his recent release, Pa Pandi, Dhanush has also now turned into a director and story writer. It was a very good attempt for a debutant, though I don't think he will win an award for this film, but looking back at his track record, I am sure an award for direction is just around the corner for this talent guy.